Need a night out? Drop your children off and let us entertain them for 3 hours. They will jump, slide, and play games. 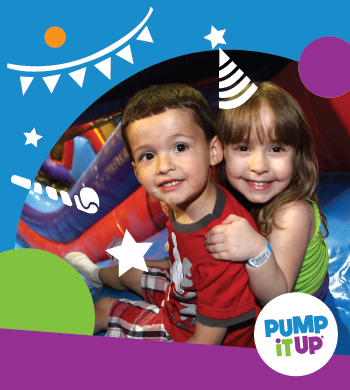 We will have pizza and a drink; and craft time so every child can have a souvenir of their fun time at Pump It Up. There will also be a short movie at the end. Price of admission includes jump, craft, pizza and drink. *Payment is due at the time of reserving. *Socks and safety waiver are required. Have a special little one in your life? If so, come take advantage of a special jump session for toddlers only! 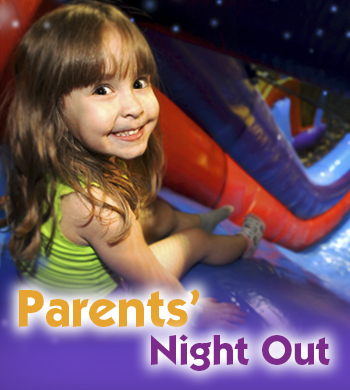 They can play on the inflatables, sing to some toddler tunes and some extra toys. We will open 1 hour early just for the toddlers ONLY! *Socks and safety waivers are required to jump. *Parents must remain with their children. *All toddlers that are mobile are required to pay admission to toddler time. 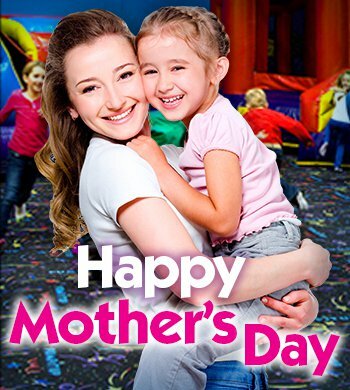 Bring the kids in and have a fun time with mom at Pump It Up admission includes 2 hours of jump time.